We all know that sodas, candy, and sugar are bad for our teeth — but did you know that a PB&J sandwich can be just as bad? 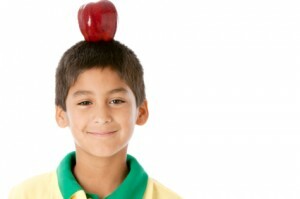 Apples: Even though apples are a nutritious snack, they are high in acid. Pickles: Since the brine is made with vinegar and oftentimes sugar too, pickles and other pickled vegetables can cause damage to the enamel. Diet Sodas: Even though diet sodas don’t have sugar, they are extremely high in acid, making this one of the worst products for your teeth. Salad Dressings: Many salad dressings contain both acid and sugar, which can break down enamel. Breads (especially white bread): Processed breads have sugar, and can also get stuck in your teeth – keeping all that sugar in your mouth even longer. Peanut Butter and Jelly: Both of these products can be high in sugars. So do you have to avoid these foods to avoid tooth decay? Not necessarily — just be smart about how often you eat them and what you do after eating these foods. For sugary foods, rinsing with mouthwash or brushing your teeth is a good way to rid your mouth of excess sugar. For more acidic foods, brushing softens teeth further and makes them more susceptible to the acid. After eating acidic foods, it’s best to drink water and wait at least an hour before brushing your teeth. For healthy teeth and a perfect smile, start limiting the damage these foods make today. The Apple Valley dentists at Dakota Dental can not only help with general dental services during your regular checkups, but they can also give you more tips and tricks for taking care of your teeth. Dakota Dental is happy to help their patients with all kinds of dental health issues. Contact Dakota Dental today!